Exceptional handmade wedding crowns with ivory stones, white and pink flowers and crystals resembling Swarovski, wrapped with a satin string. Tied together with a satin ribbon. 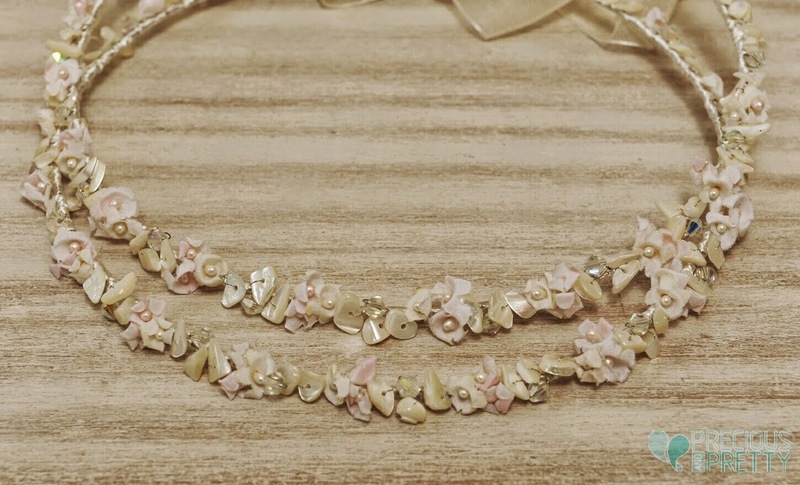 https://www.preciousandpretty.com/2014/06/wedding-crowns-with-ivory-and-flowers-1074.html Greek Wedding Favors|Orthodox Crowns|Stefana|Baptism Invitations Wedding crowns with ivory and flowers 1074 Ivory wedding crowns with flowers Product #: Greek Wedding Favors|Orthodox Crowns|Stefana|Baptism Invitations_6274035596016659101 5 stars out of 5 reviews.